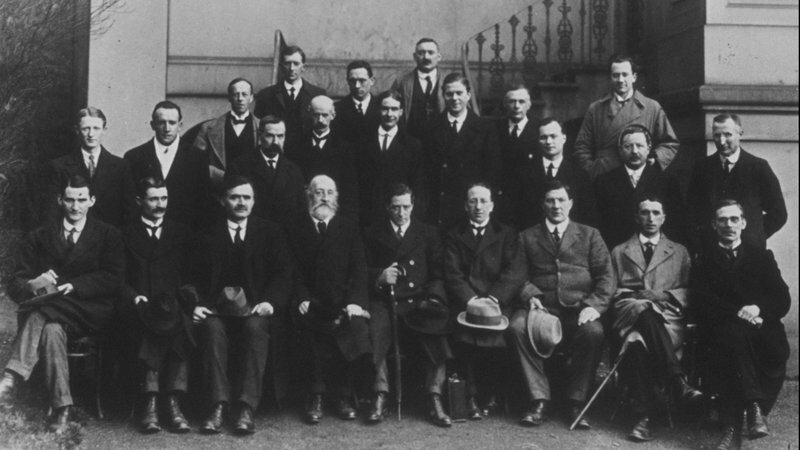 As I mentioned at the weekend, today marks the centenary of the historic first meeting of the Dáil Éireann, at the Mansion House in Dublin on (Tuesday) 21st January 1919. The picture above shows the 27 Teachtaí Dála (TDs) present. The event is being commemorated this afternoon. I’m summarizing the events surrounding the First Dáil largely because I didn’t learn anything about this at School. Despite Ireland being such a close neighbour, Ireland’s history is only covered in cursory fashion in the British education system. 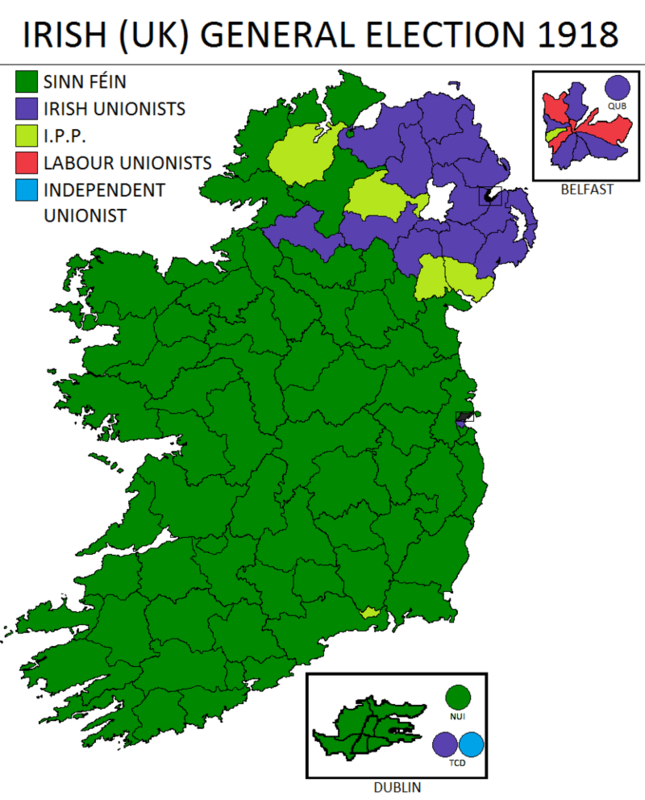 The background to the First Dáil is provided by the General Election which took place in November 1918 and which led to a landslide victory for Sinn Féin who won 73 seats, and turned the electoral map of Ireland very green, though Unionists held 22 seats in Ulster. In accordance with its policy of abstentionism, the Sinn Féin MPs refused to take their seats in Westminster and instead decided to form a provisional government in Ireland. In fact 35 of the successful candidates for the General Election were actually in prison, mostly because of their roles in the 1916 Easter Rising and the Ulster Unionists refused to participate, so the First Dáil comprised only 27 members as seen in the picture. It was chaired by Sean T. O’Kelly; Cathal Brugha was elected Speaker (Ceann Comhairle). 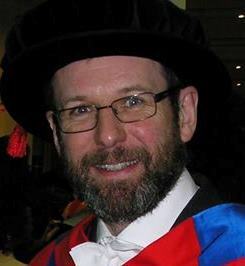 As part of this meeting, the adoption and the ritual of ‘the Turning of the Seal’ establishing the Sovereignty of the Irish Republic was begun. 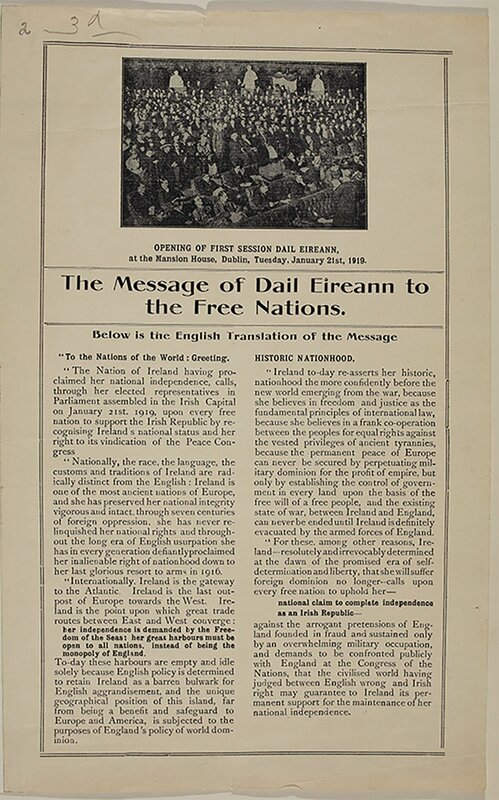 The First Dáil published The Declaration of Irish Independence. On the same day as the first meeting of the Dáil (though the timing appears not to have been deliberate), two members of Royal Irish Constabulary were shot dead by volunteers of the Irish Republication Army in an ambush at Soloheadbeg, Co Tipperary. The IRA squad made off with explosives and detonators intended for use in mining. This is generally regarded as the first incident in the Irish War of Independence. The war largely consisted of a guerrilla campaign by the IRA countered by increasingly vicious reprisals by British forces, especially the infamous Black and Tans who quickly became notorious for their brutality and indiscipline. 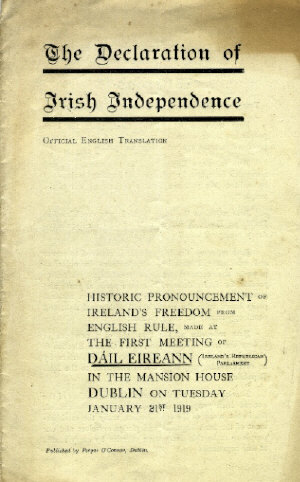 Following the outbreak of the War of Independence, the British Government decided to suppress the Dáil, and in September 1919 it was prohibited. The Dáil continued to meet in secret, however, and Ministers carried out their duties as best they could. The War of Independence lasted until the summer of 1921, when it was ended by a truce and the negotiation of the Anglo-Irish Treaty. That, in turn, triggered another cycle of violence with the breakout of the Irish Civil War in 1922 between pro-Treaty and anti-Treaty forces and the eventual partition of Ireland into the independent Republic and Northern Ireland which remained part of the United Kingdom. How Loud was the Big Bang?